Find your perfect profiled customers from over 23 million named contacts. Choose from a range of bespoke products and designs, tailored to your business and made in minutes. Send your mailing at the time that suits you, to the people that matter. Property Connects is a direct marketing platform that enables Estate Agents and Property Developers to market directly to house sellers, buyers and renters from a database of over 23 million named contacts. 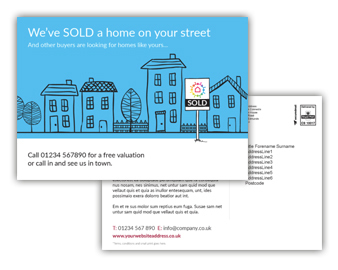 In seconds you can now send a mailer at street level to everyone in the street where you have just sold a property! You can build a marketing campaign within minutes, landing on doorsteps within days! If you want to run “Touting” or “Canvasing letters”, Postcards, Leaflets or Flyers using our creative with your logo or using your own fully branded templates then look no further. Our Web-2-Mail platform enables you to run highly targeted direct mail campaigns; customised to suit your business at a time that suits you at the quantity you want to send. No minimum orders and free to access without a subscription. Customised, personalised and relevant, direct mail delivers a greater ROI then any other form of direct marketing. Every time I use Precision Connects data it's really useful, as I analyse campaigns and reports and can analyse web traffic and at times these are the highest peaks on our reports. 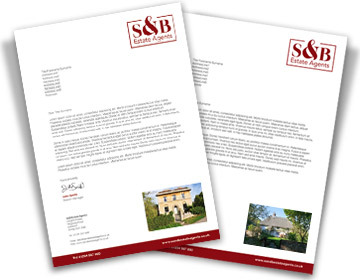 The team are efficient, easy to work with and have a fast turnaround. I would highly recommend using Precision Connects, as they go above and beyond to meet your requirements. It has been a pleasure working with Precision over the last month. They have saved my staff over a days’ worth of writing letters. It now takes 24 minutes to complete all the letters to be sent out weekly. Not only is this time saving it is a very efficient service. Whether you are printing 20 brochures or 2,000 flyers, we guarantee to provide the best quality of service. Delivery time for print items is 3 business days. 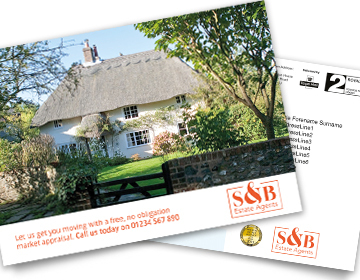 Please allow up to 5 working days for your Direct Mail campaign to reach its target audience. Please, check your e-mail inbox for account activation. Please check your e-mail inbox for an email with a password reset link.